Beautifully tailored clean lined Wisp Wall Light from Porta Romana. 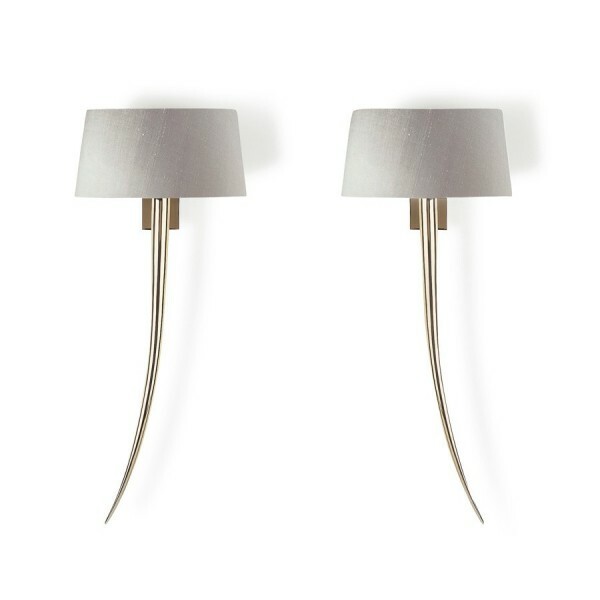 Available in either a painted cocoa finish or can be silver plated for an even more sophisticated effect. 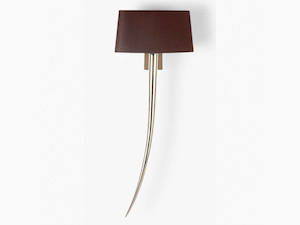 It is pictured with 9" Slim Oval shade in Truffle silk and is approximately 600mm/229mm wide. 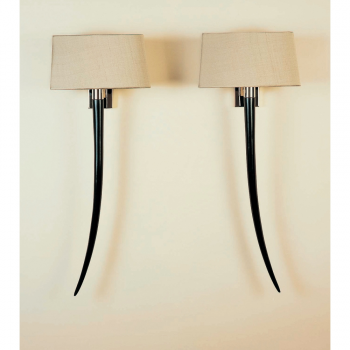 Exquisite wall light from Porta Romana. Their pieces can be seen in the world’s most beautiful interiors, including private homes, hotels and yachts.